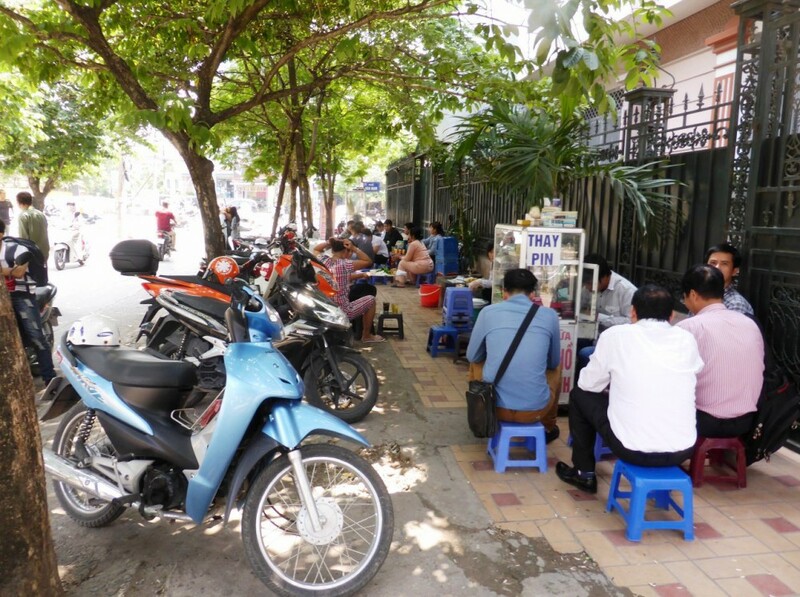 I started this morning with a diet breakfast of boiled duck egg – and Vietnamese coffee. We like the duck eggs to be fertilised and bred for about 18 days. 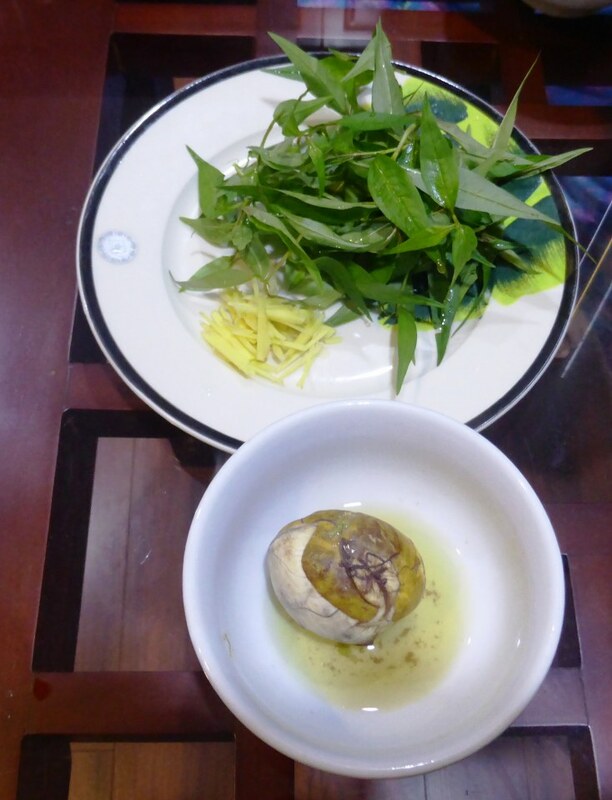 They are then boiled and eaten with fresh ginger and “rau ram” – a local herb called “Vietnamese mint”. Heavenly! Don’t be put off by the “looks” of this. 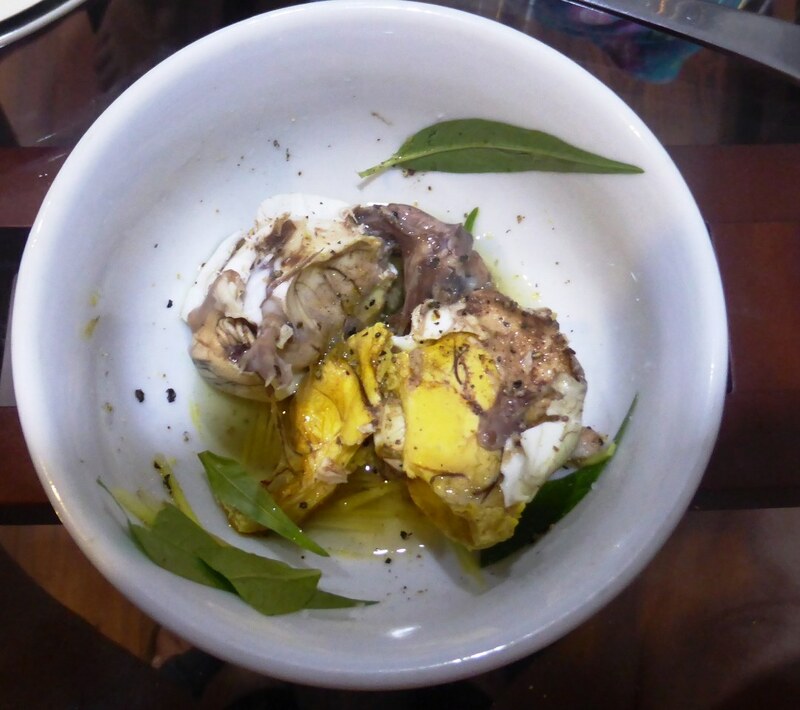 A standard chicken egg is also a bird embryo…The taste is real good!